Last time, I’ve introduced you Champion Ayla. For this time, I’d like to tell you about Ayla’s another version. The Gladiator Ayla. Based on the main body of Champion Ayla, I started to design Gladiator version. 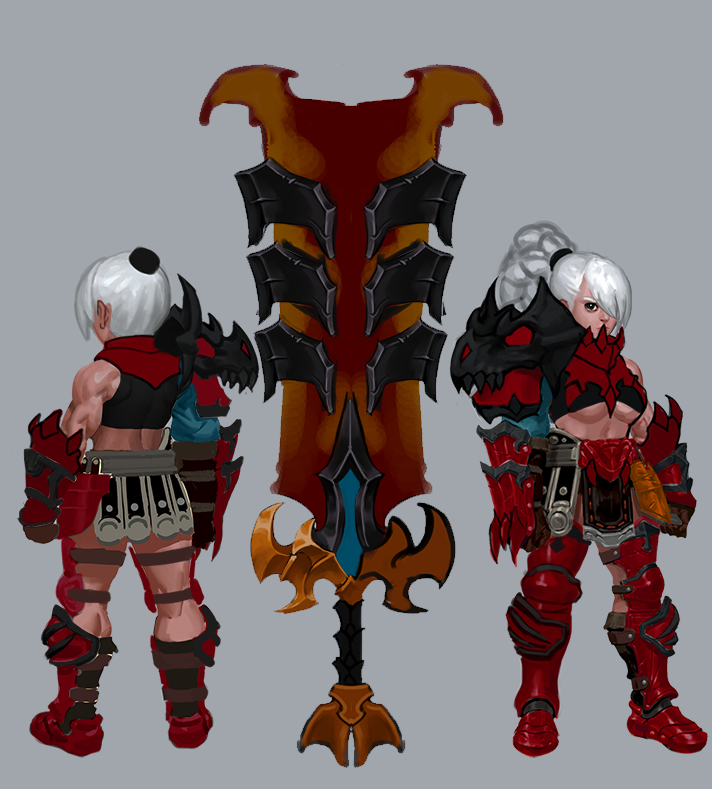 For this time, I wanted to add details on the Ayla with the idea of Berserker. 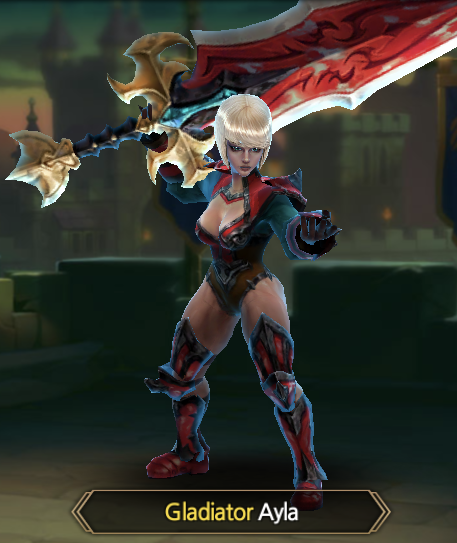 Unlike the Champion version Ayla, I decided to use Great Sword for Gladiator Ayla. So, here are the several armor and weapon designs. 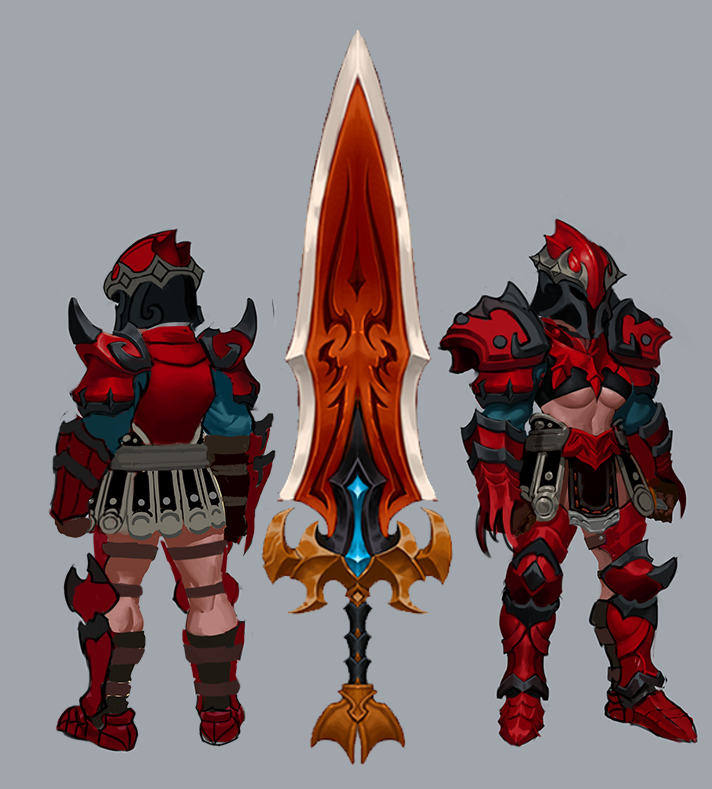 Full armored Dragon Slayer Style version. And the light and speedy version. Those 3 different versions above, I had really hard time to choose one. And finally, I decided to use light-speedy version which has similar shape to Champion Ayla. 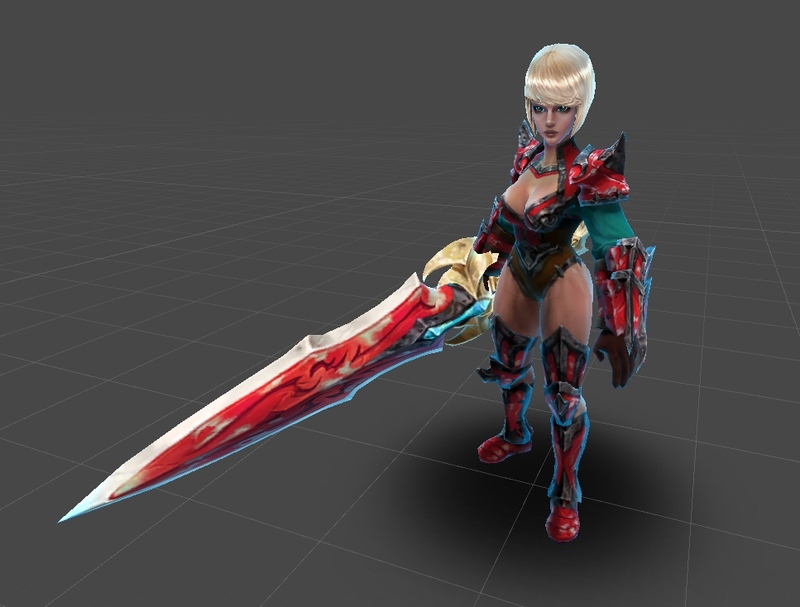 And, here is the 3D model of Gladiator Ayla. At the final touch, I decided to change her hair color because the overall color tone seems not matched. Bright silver hair -> little bit dark blonde hair. Then, let’s see the in-game 3D model! Because of the Spider Queen Thalia and the followers, Anthalos kingdom has been ruined. After Thalia left the kingdom to chase Theodore and Martine, Ayla could revenge to pirates finally. Are you interested in Ayla’s next story? Then, please wait for it!